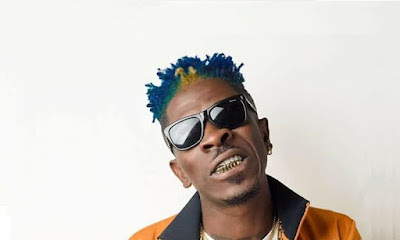 Shatta Wale for one has always been a recipient of negative criticisms about his craft and his unconventional ways of expressing it. These criticisms, over the years, have been established by industry insiders (bloggers, radio/tv presenters etc) as well as colleague artistes. The comments have generally being centered around 'noisy' beat production of his songs and 'meaningless' lyrics. In light of this issue, Shatta Wale took to twitter, yesterday, to share his two cents on the criticisms, explaining that, contrary to making sensible songs, the primary duty of a real musician is to entertain. He added that, most musicians do not know this principle, and with in-depth research, he got to know. Here is everything Shatta Wale had to say about the criticisms. ... Saying things like :this song is not a good song !! Brother I don’t know about “Senseless song ” in my dictionary of compositions..
All I know is MUSIC.